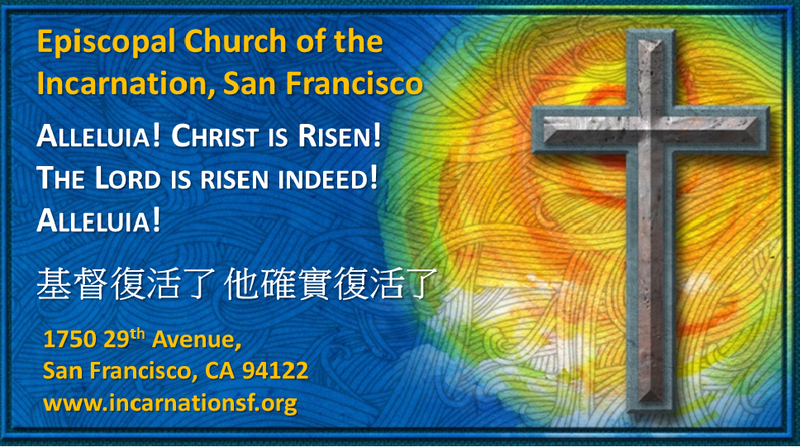 Saturday June 21, 2014 at 5 p.m.
Asian American lesbians and gays have been largely invisible in Christian churches. 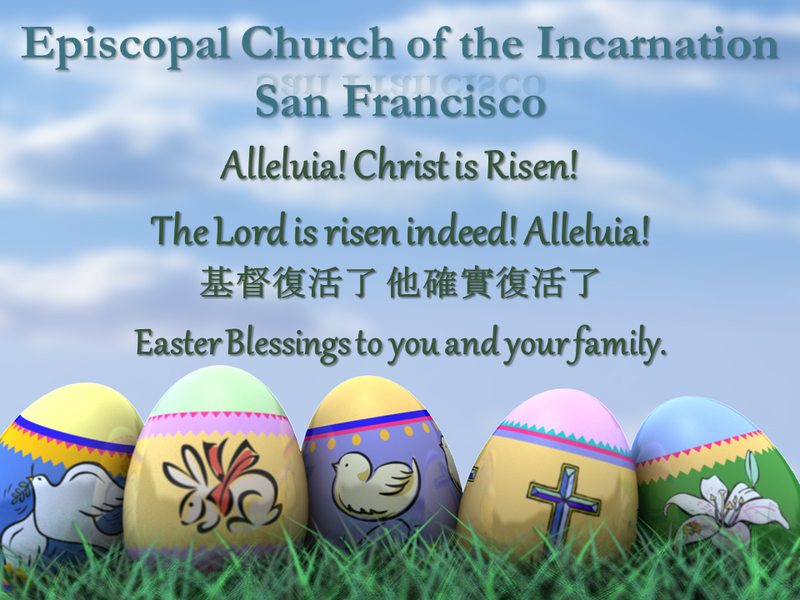 Some Asian American churches silence the issue for fear of division and conflict. Yet lesbian and gay Asian Americans and their families worship and serve in churches every day. Where are their voices? 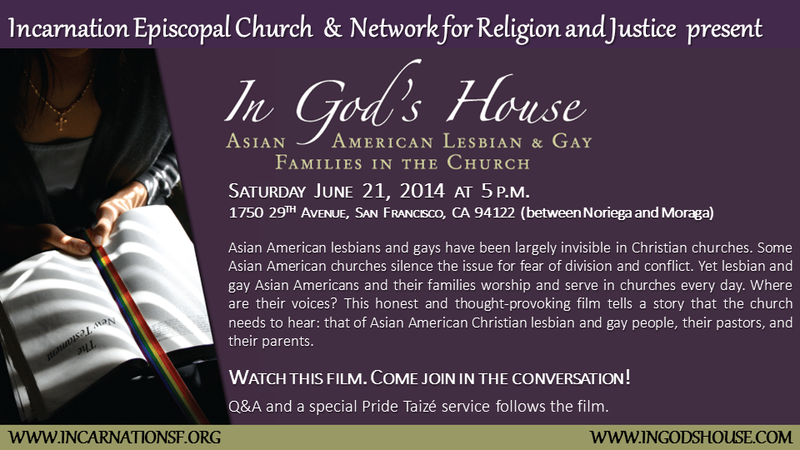 This honest and thought-provoking film tells a story that the church needs to hear: that of Asian American Christian lesbian and gay people, their pastors, and their parents. Watch this film. 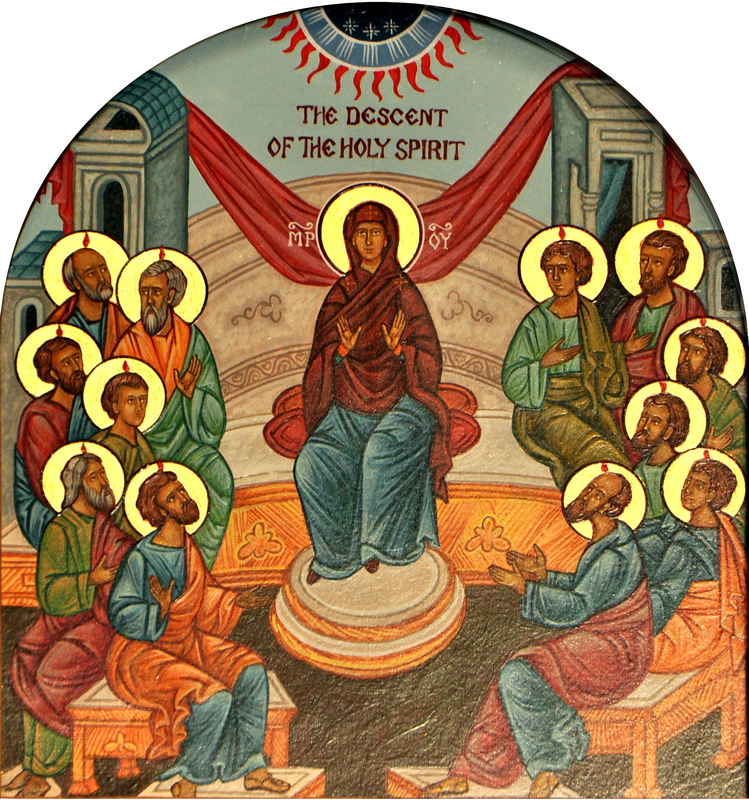 Come join in the conversation! Q&A and a special Pride Taizé service follows the film. To learn more about the film visit www.ingodshouse.com. The film was featured in the 2007 Frameline San Francisco International LGBT Film Festival.